So on Saturday night, we finally had our big fondue night. I tested 5 cheeses and 4 of them made it to the “fondue island” (my parents’ kitchen island transformed into fondue frenzy). 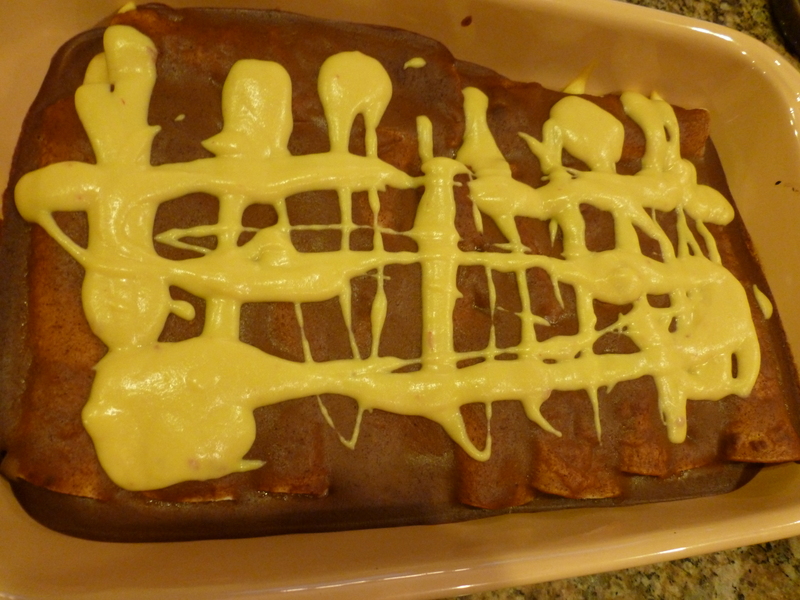 All of them featured a cheese from the book Artisan Vegan Cheese by Miyoko Schinner. From the top left and moving clockwise in the photo above, we have Gruyere, Spinach Artichoke, Chipotle Queso, and Sharp Cheddar. The Swiss cheese didn’t melt right, so we didn’t use it. I will do a cookbook review later, but for now, I want to feature an easy recipe that uses the Cashew Cream Cheese from Miyoko’s book. 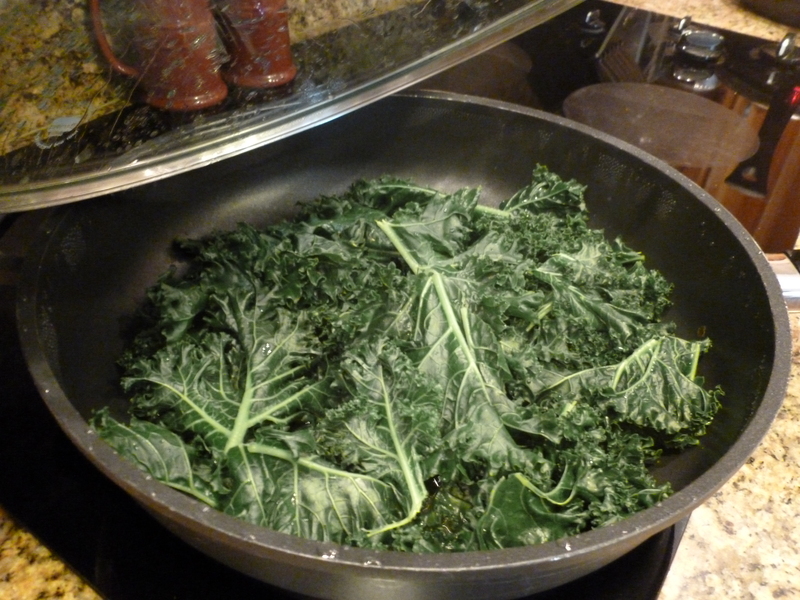 First wilt the spinach with 1/2 cup water in a covered frying pan over medium high heat. 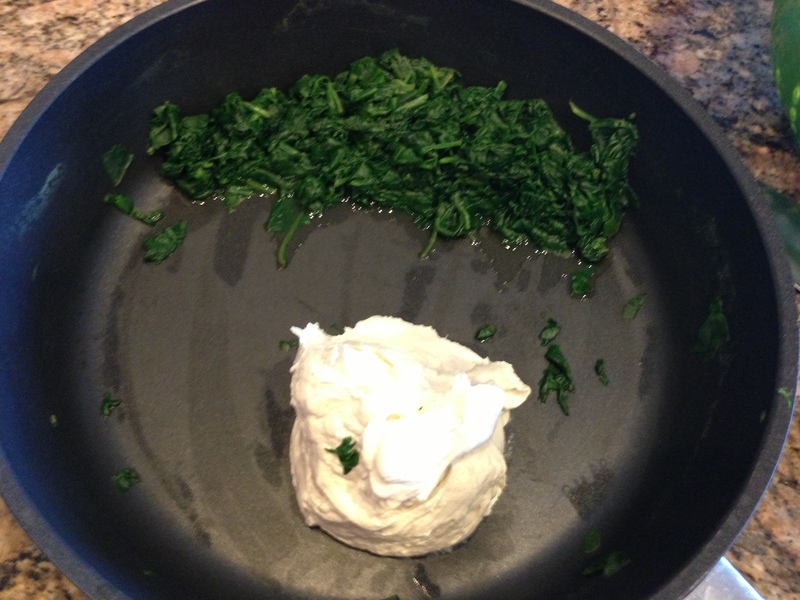 Drain any excess water, push the spinach off to the side (chop any large pieces with some kitchen scissors), and add your cream cheese to the pan while it is still warm. 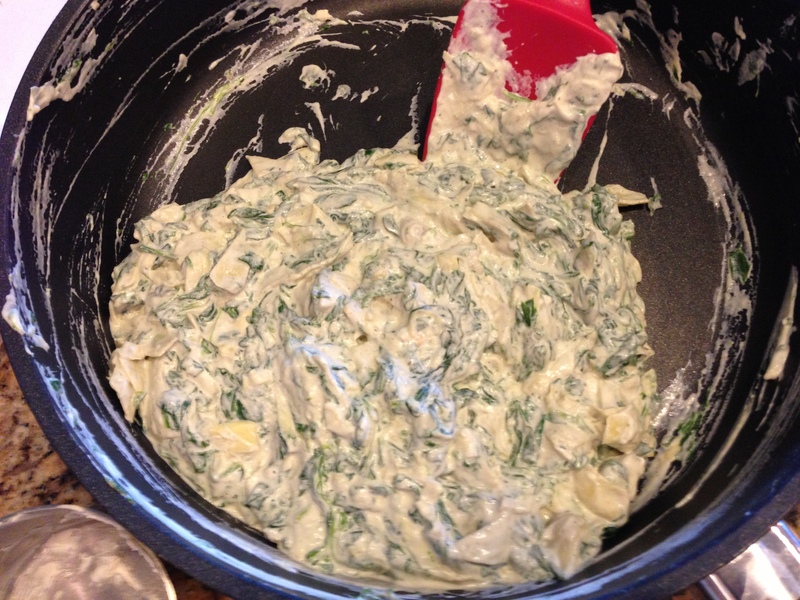 Mix the nutritional yeast, garlic, lemon juice, salt, and pepper in with the cream cheese, tasting for the right seasoning. Add the quartered artichokes to the pan, cutting each of them an additonal 3-4 times with some kitchen scissors until you’ve reached the desired size. Now mix the three together! Ready for the fondue pot! 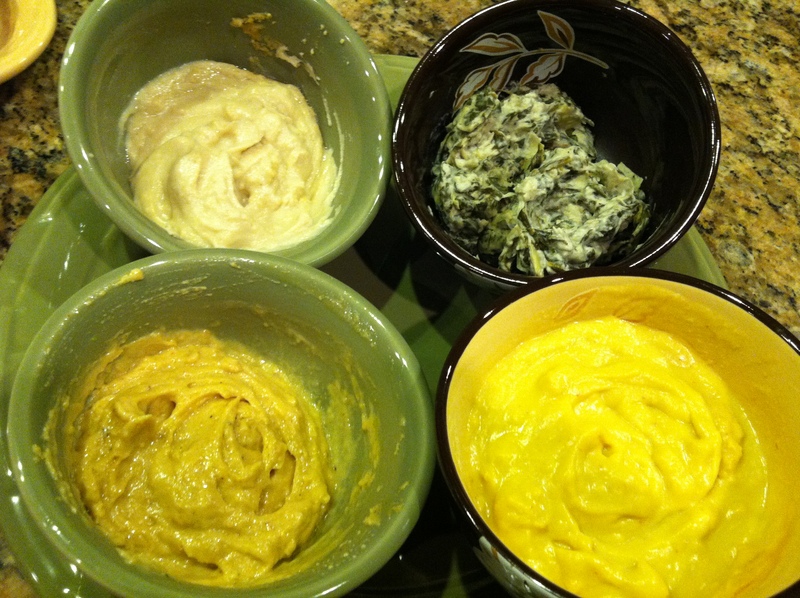 My favorite dippers with the spinach artichoke dip were soft pretzel rolls, cauliflower, and tortilla chips. Eating these kind of reminds me of what it used to be like eating ribs… messy but delicious. 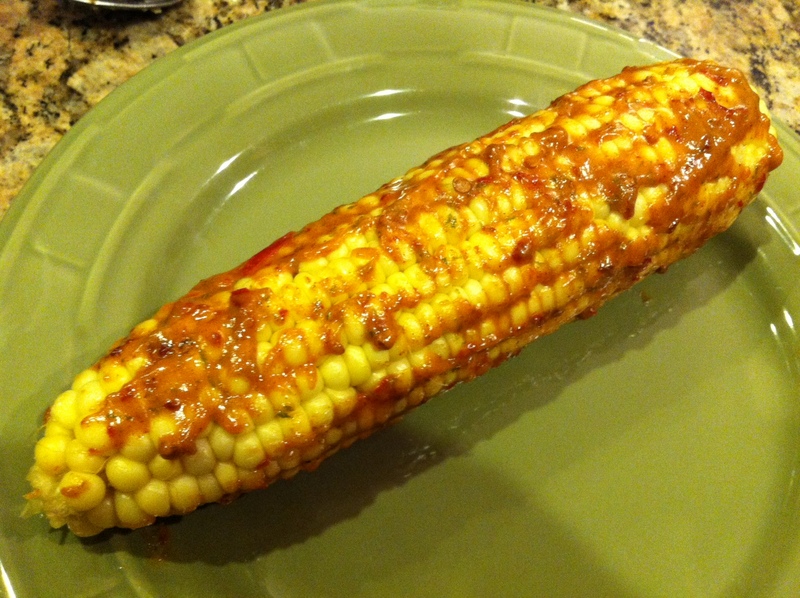 This was a delicious, smoky, and spicy alternative to plain corn on the cob. I think the only thing I will do differently next time is to grill the corn. From tips online, I gathered that you should first soak the corn in their husks for 30 minutes to several hours. Then you can grill the corn, still in the husks (and wrapped with foil if you are worried about burning them), for about 20 minutes on the grill and they’re done. Since we didn’t have the time, we just boiled them. Shuck the cobs of corn and place in boiling water. When the water comes back to a boil, wait a few minutes until the cobs are cooked and remove from the water. Should take about 10 minutes. 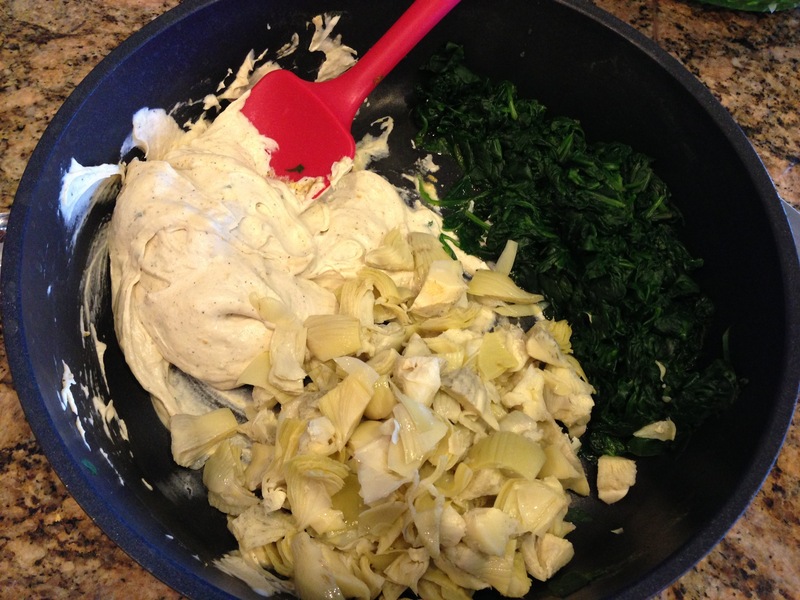 Combine all other ingredients in a small bowl, mixing well. Add enough lime juice so that the mixture is the consistency of a rub (thicker than a marinade, but not as thick as a paste). Spread on corn… a little goes a long way (in the picture above I actually ended up removing some of the rub because it doesn’t need much to taste delicious). I would rate the spice level of the rub somewhere between mild-medium. If you like a kick that doesn’t kick you over, you will like this. Here are my results, everything was delicious! I’m showing you mostly pictures up-front because I hardly changed anything. 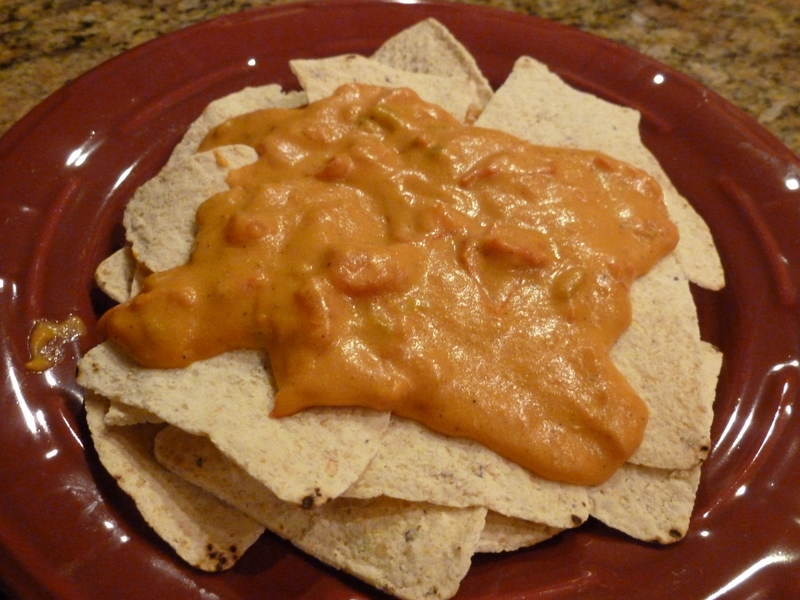 You can find the “Smoky Chipotle No-Queso” recipe here. 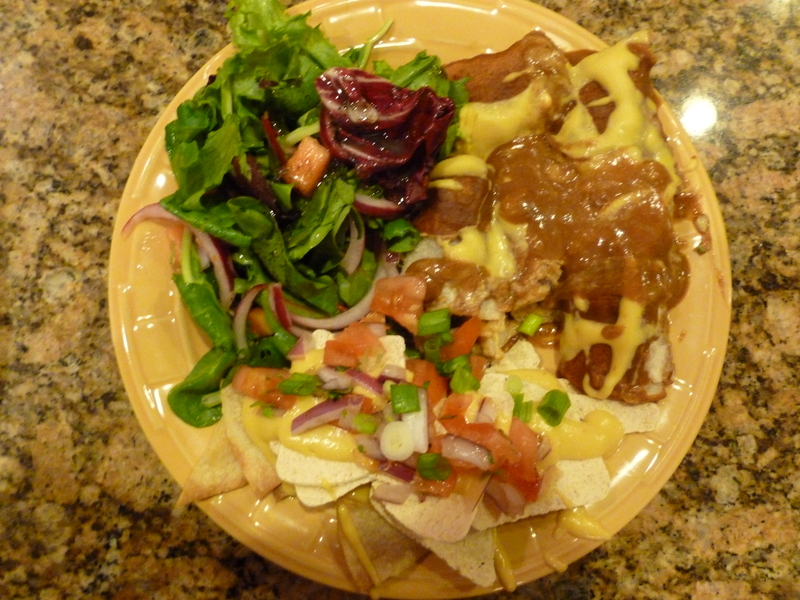 For the rest, you can check out my map of the “It’s Nacho Business” meal here. 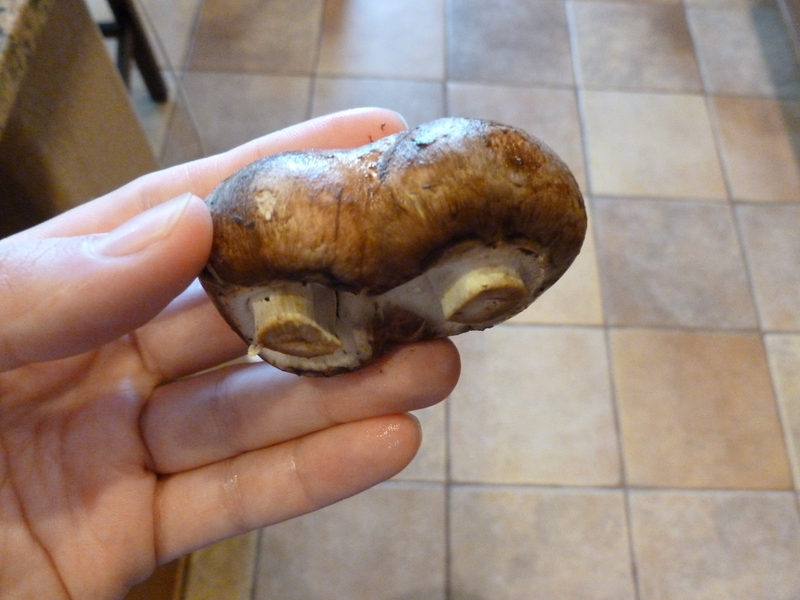 We found a couple of these “love mushrooms”… unfortunately we had to separate them. 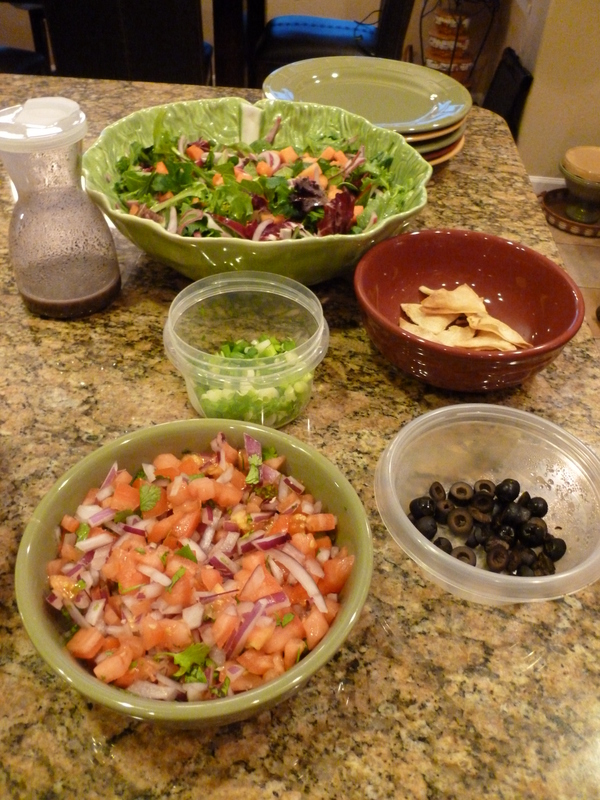 Papaya Salad and Nacho fixings. The salad dressing is at the top of my favorite salad dressings ever. 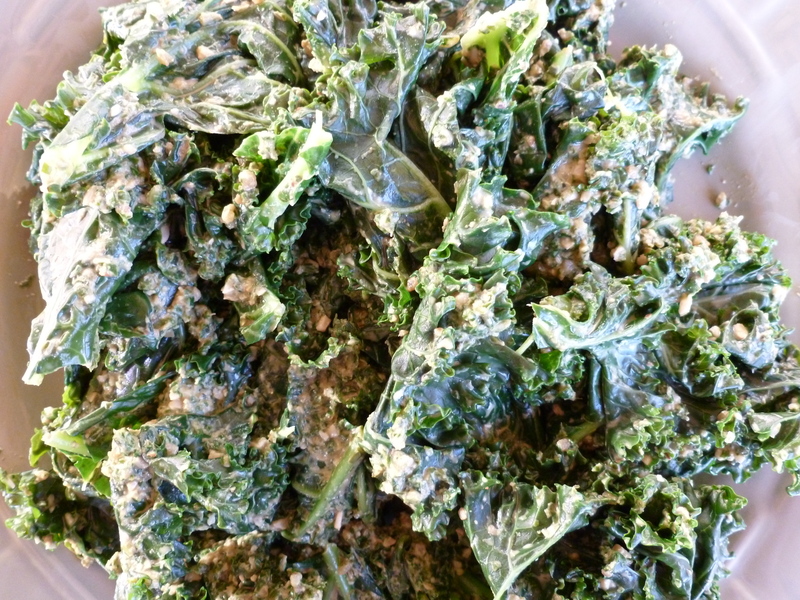 Just to be clear… this is not a pesto made from kale. I never understand how people can replace basil with cilantro or some random green like kale and still call it pesto! Basil is irreplaceable in my book. 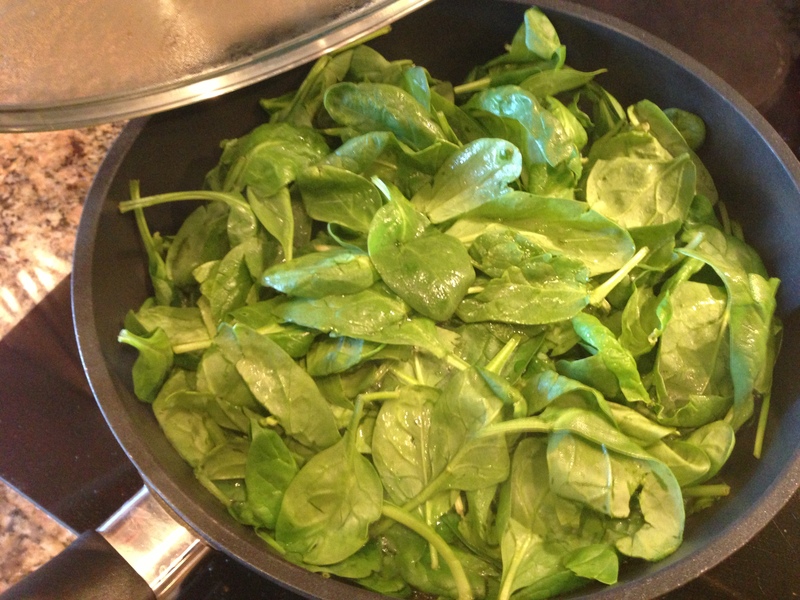 So I was needing a good dose of greens, but I didn’t want to eat them plain. 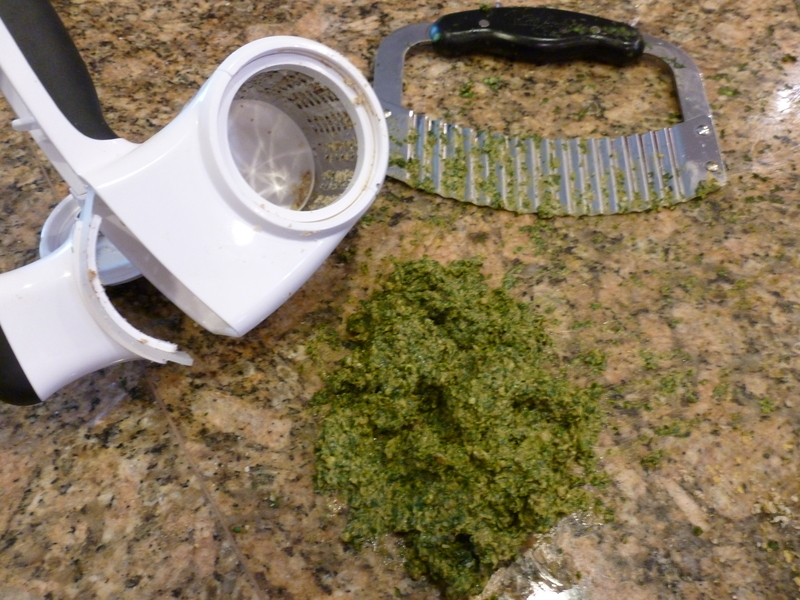 And I had some extra basil leftover from my tomato basil soup… so I made pesto. The easy way: Blend it all up in a food processor. Done. 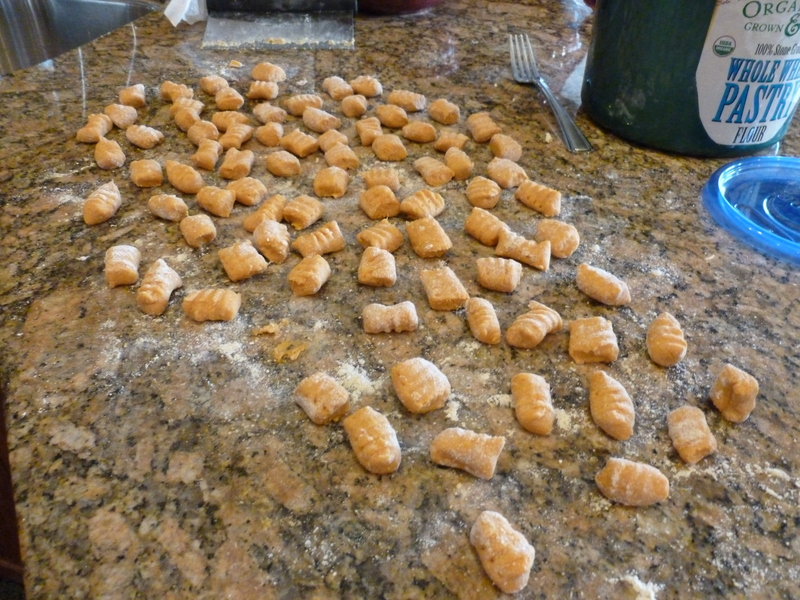 The less easy way: I wanted to try making it like an Italian grandmother (click here for link), because that just sounded too appealing! 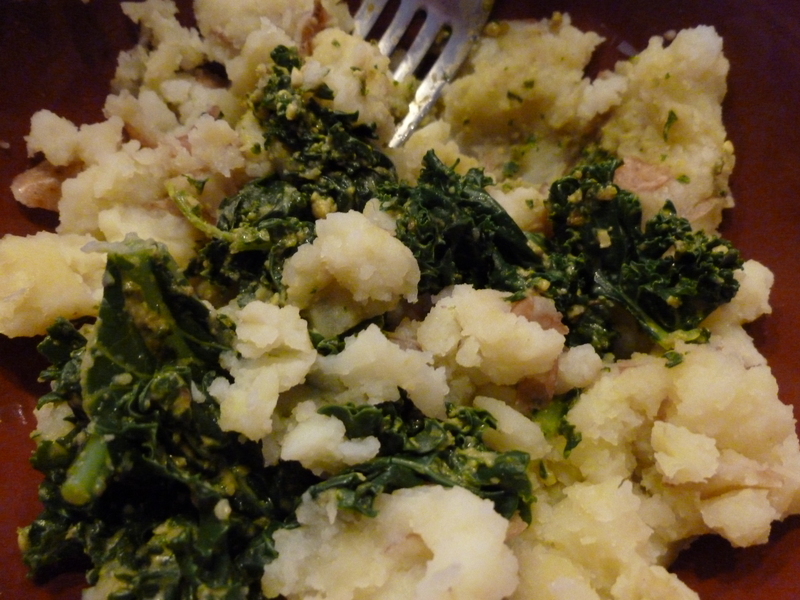 So I followed her directions for the basil and garlic, but when it came time to incorporate the parmesan, I just grated some walnuts in a rotary cheese grater and added that and the nutritional yeast and salt to the minced basil mixture. Then I combined the two… and voila! 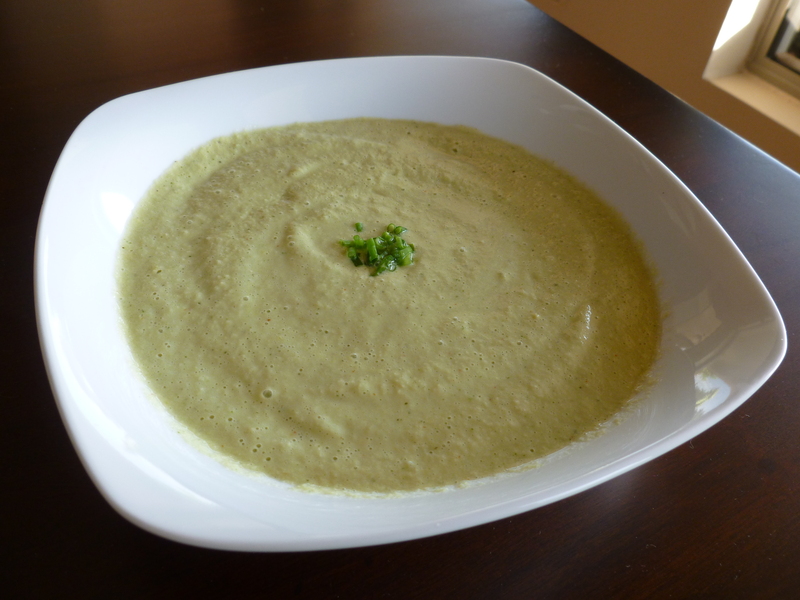 This recipe is a veganized version of Emeril’s Cucumber Soup found here. 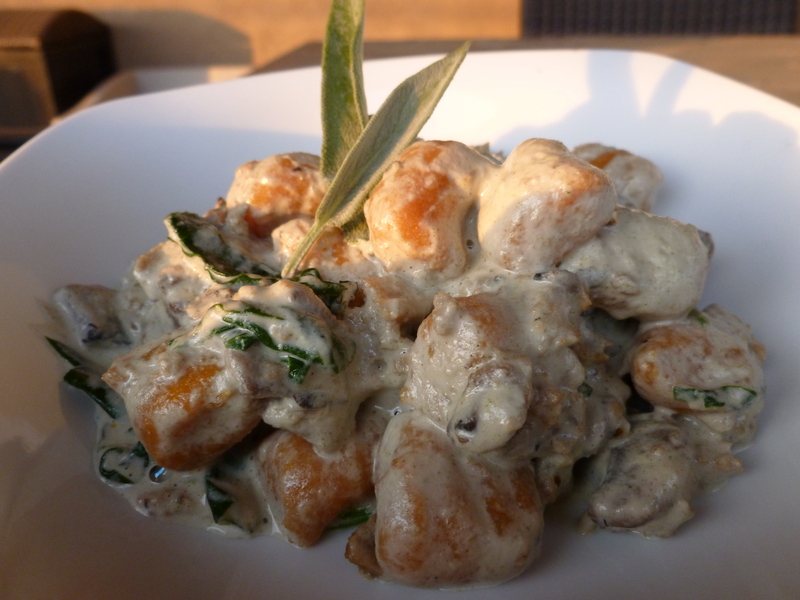 The cashew sour cream is a modification of this recipe. 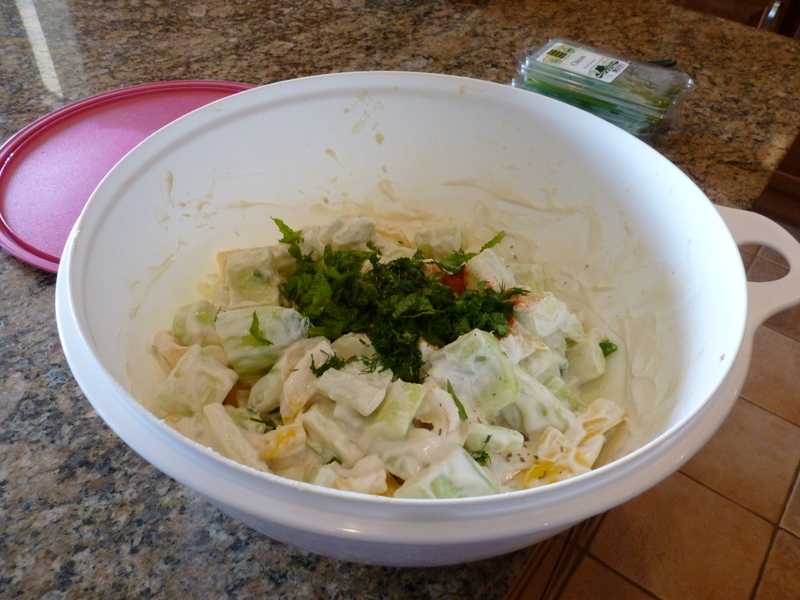 Combine all ingredients except garnish in a large bowl. Working in batches, puree the ingredients in a blender until very smooth. Transfer the soup to the refrigerator until well chilled, at least 2 hours. Taste and adjust seasoning if necessary. Serve soup with each bowl with a sprinkle or two of salt and garnished with a dollop of sour cream and some minced chives. 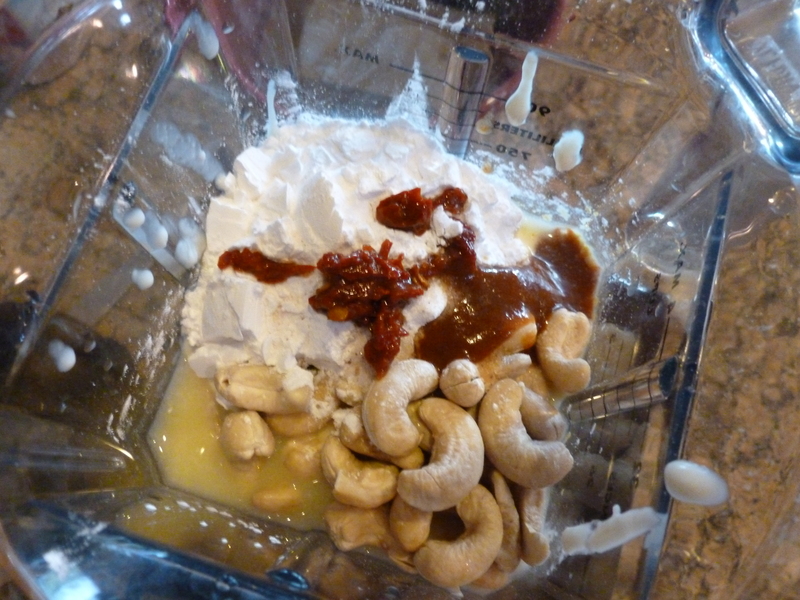 Blend all ingredients in a blender for a few minutes till smooth (you may have to scrape the sides of the blender a couple times to ensure all the cashew pieces are incorporated). 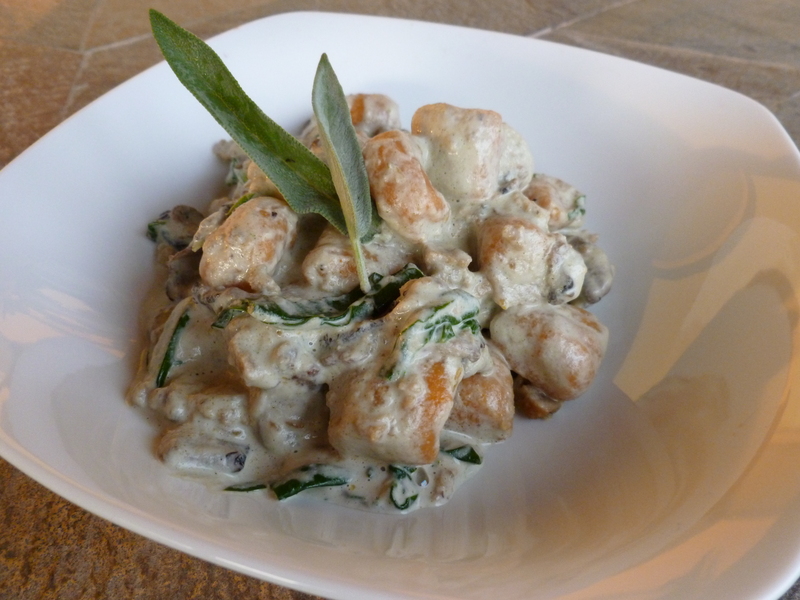 This was both creamy and light, with a little kick! 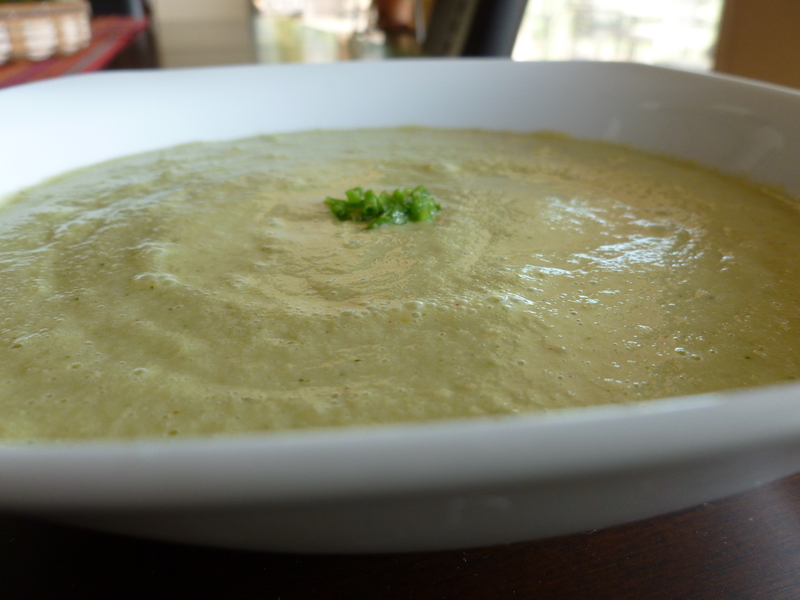 …perfect summer soup. 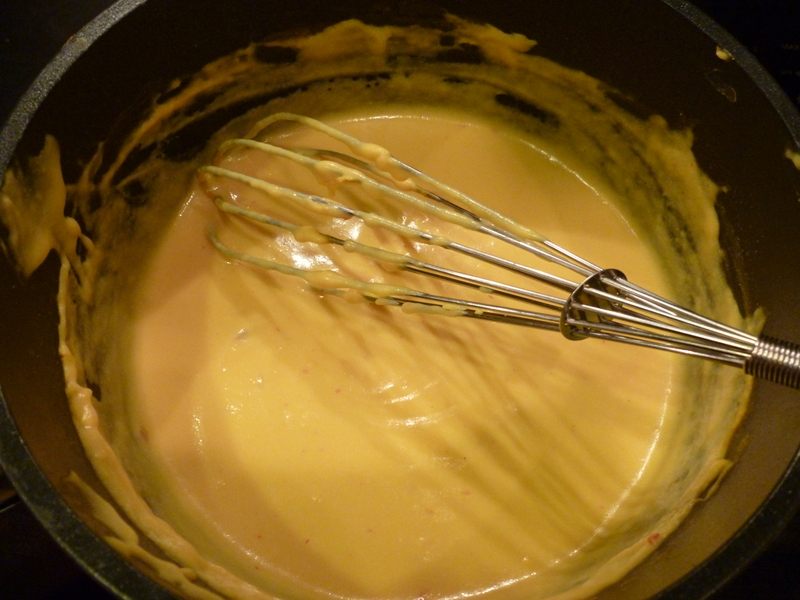 This nacho cheese was wonderful. Great consistency and flavor. Just right. 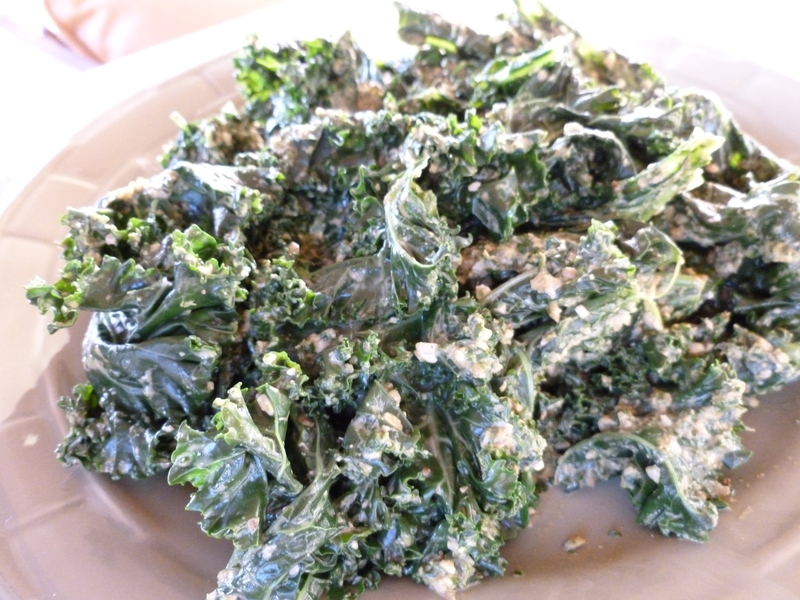 The recipe is from Happy Herbivore (click here for the recipe). After making the sauce, I added two tomatoes (diced) and half a mini can of diced green chiles. 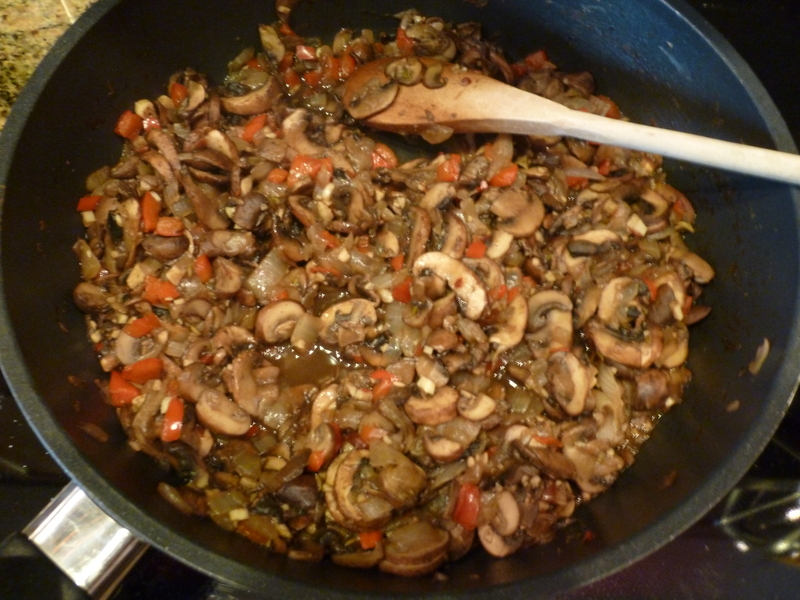 Both of these veggies added a little extra liquid, so I had to stir for a few minutes more to re-thicken up the sauce. The chips are La Reina baked no-salt tortilla chips (from Whole Foods, only $2.19 a bag, only ingredients are corn and lime!). edit 7/7/12: I made this again, but omitted the cayenne and added 1/2 a chipotle in adobo sauce (click here to see on amazon) with about 1/4 tsp of the sauce added too. This added a nice smoky, but mild kick. If you are a spice lover, I say go for a whole chipotle and a bit of the adobo sauce.